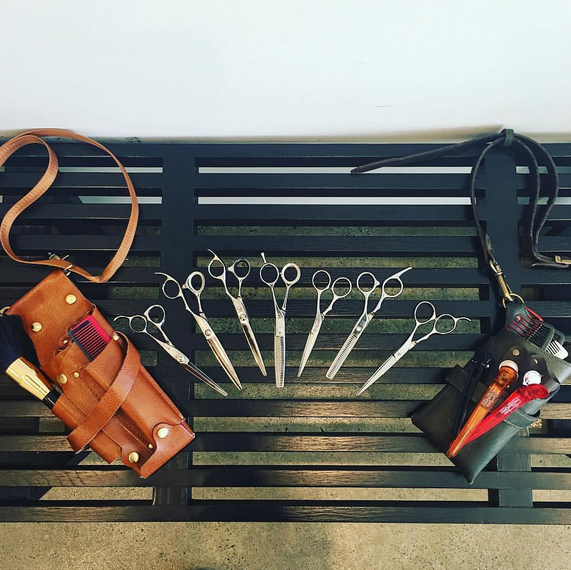 We’ve previously featured Jorge Viota Hairdressers located on Lygon Street of the Melbourne suburb of Brunswick East in an earlier post, complimenting them on their efforts in social media and local community engagement. All this time, we’ve also been their customer, with our Creative Director getting his hair done by none other than the owner Jorge himself. 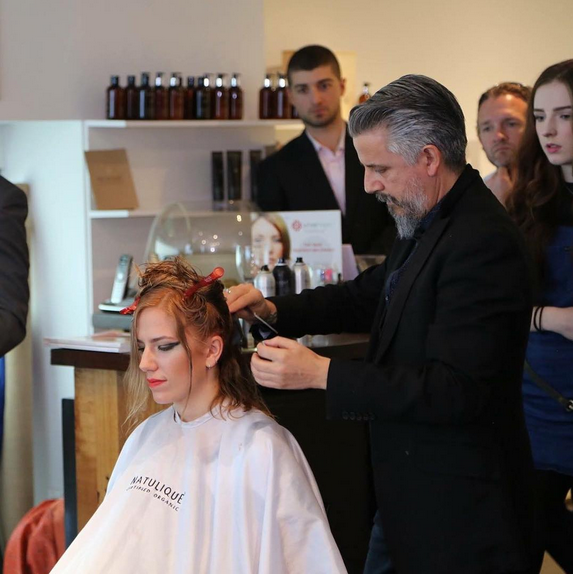 So it’s no surprise, we’re more than qualified to be talking about Jorge and his hair salon not just on our website, but writing about him for a Natulique hair event held in London late last year, which Jorge attended as a special guest and speaker. To be exact, we contributed to the writing of Jorge’s biography that was used in various marketing materials of the Natulique event. We learned quite a lot about Jorge in the process, especially his commitment to using hair products that are more eco-friendly. Read our write up of him below, you may just be compelled to give Jorge and his team a call for your next hair appointment. “Jorge Viota has more then 32 years of experience specialising in hairdressing and hairstyling, working in and outside of the salon, in front and behind the camera, across areas such as fashion editorials, events and runway shows, in Australia and overseas. Since launching his own salon Jorge Viota Hairdressing and Barbers in 2015 in the hip suburb of Brunswick East, Melbourne, Australia, and his own range of men’s grooming products Barberian, he has led a small team of hair professionals who care about their own well-being and that of their customers, by advocating the use of the most eco-friendly, organic and effective hair products available in the market. Having used Natulique for 4 years and currently an ambassador for the brand in Australia, New Zealand, US Artistic and TA, Jorge has experienced with his own hands how Natulique is the ethical, healthy and eco-friendly way ahead with hair colour and styling products, giving the chop to those earlier days of salons smelling like a chemical factory/cloaked in a constant chemical cloud. In addition, Natulique enables Jorge and his team to be as creative and experimental in their craft, whether it’s high fashion looks, low maintenance, fuss-free styles or just a do for the everyday selfie, allowing him and his team to always make the cut with clients, whatever their expectations. Most importantly, clients can feel and see the Natulique difference. They’re excited to achieve body, texture and colour in a day. For Jorge, he is most inspired by the Natulique Curl Lotion and he’s sure that clients will see it as a huge value add to the services that he and his team offer in the salon. The path ahead for Jorge and his salon is one of continued education and training, as they are his passions. He believes in the sharing of knowledge within his team, and a philosophy that hairdressing today transcends trends, fashion, styles or even being “cool”. He also believes in hair design, creating beautiful hairstyles that crown the personality of his clients, applying the art of hairdressing, the tools of the trade and of course, Natulique. 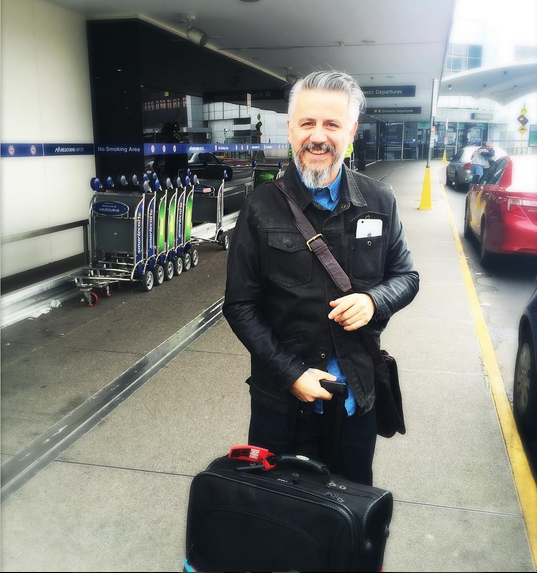 In 2016, representing Natulique, Jorge is very proud to have travelled to California LA ,Phenix Arizona .Tampa Florida and Queensland, Brisbane, Launceston Tasmania, Australia, sharing his success stories blending his own unique approach to hairdressing, using Natulique for both clients and staff. The response and rapport that he’s had on these trips have been fantastic and he believes, armed with Natulique, his salon will be “a cut above the rest” of the competition in the future. 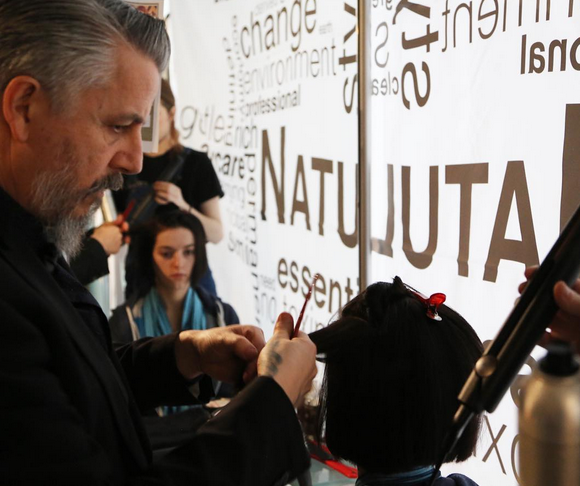 For Jorge, participating in the Colour Innovation Award is an invaluable opportunity for like-minded and creative hair professionals to come together as a part of the Natulique family from around the world, to learn, share and impart each other’s knowledge and success stories. Pictures above are generic and from www.instagram.com/jorgeviotahairdressers and may not be related/affiliated to Natulique and its London event.